Show the love of your life how much you really care by buying romantic gifts for her. Romance means different things to each woman, so it's important to know what your lady finds romantic. Many times, it's not what you get her, it's the surprise and thought you put into it. Going out of your way to cook her favorite meal will show how sensitive you are and how much you want her to be happy. Don't worry if you can't cook that well, the thought and effort is romantic enough. Have you ever heard your love tell you that she would like to go somewhere nice? Well, make that happen! Plan the whole night out and go above and beyond anything you have ever done. Rent a nice vehicle or a limo to go to a fancy restaurant or a show, and then have a hotel room for the night complete with roses and candles. While you may tell her all the time that you love her, sometimes it's nice to sit down and really put your feelings down on paper. Write a love letter straight from your heart. Engraving a romantic phrase on something she will use regularly reminds her often how much you really care. Find a jewelry box or other useful item and have a heartfelt message engraved on it. Giving women jewelry isn't unique, but you can make it extra special by presenting it in an extraordinary way. Combine your gift with a nice night out by asking her to put on one of her favorite dresses, and then surprise her with her newest accessory. Many women love to think back on the wonderful times you've both shared. Encourage those thoughts by printing out a picture of something special you did together and frame it for her. If the frame has space for engraving, choose a meaningful quote to add a special romantic touch. 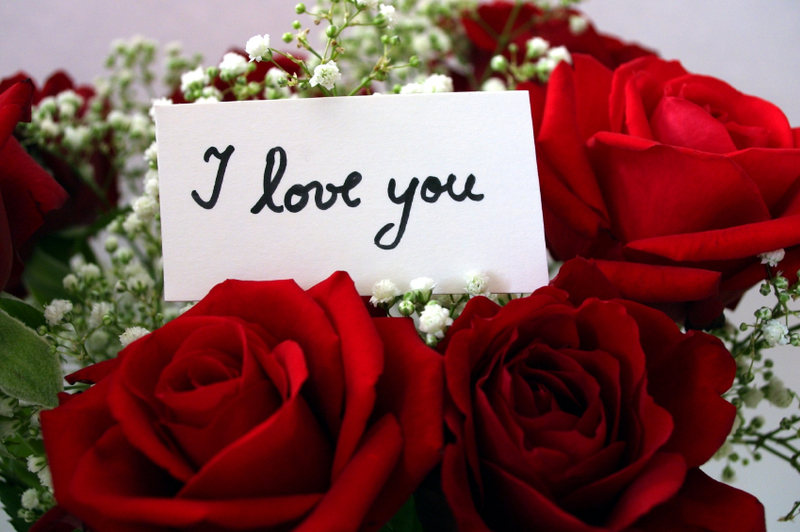 Roses are one of the most popular romantic gifts men buy women. Make your roses stand out by adding a card that says, "Unlike these roses, my love for you will never die." or "Your beauty far exceeds the beauty of these roses." You don't have to buy romantics gift for her all the time. Doing things for her can be just as romantic and special. One night, light the fireplace, some candles and play soft music. Sit with her, ask her about her day and just listen. The gift of your time can be the one thing that she wanted from you.